When you think of Southern India, you think of colourful temples, ancient spice trading posts, beaches lined with palm trees, boats gliding along complex networks of canals and backwaters, and luxuriant gardens. Southern India is less well-known for its mountains. Yet what are called the Ghats, literally “steps”, peak at more than 2,000 metres above sea level. 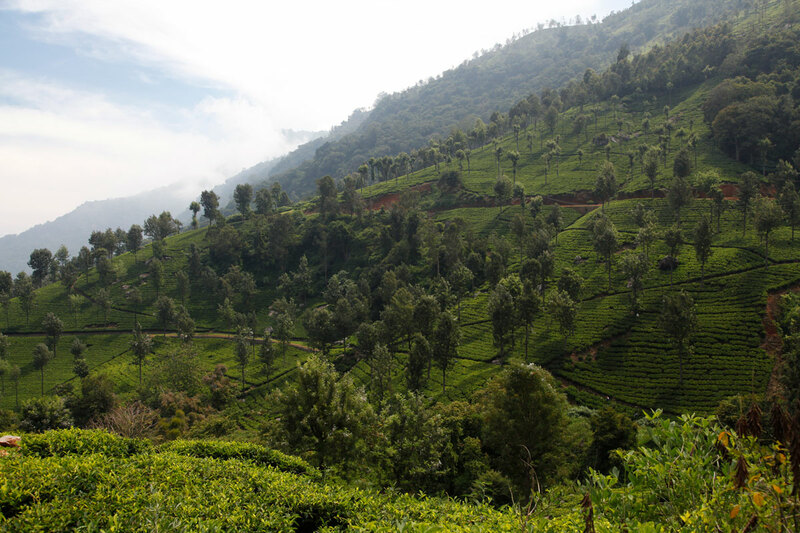 This altitude and climate is well suited to tea plants.